Canberra is keeping pace with its public transport infrastructure needs with this month’s opening of new bus stations at Belconnen, and now the completion of a $1.8 million bus lane in the city’s north. ACT Chief Minister John Stanhope says the Flemington Road Gungahlin bus lane will reduce commute time into Civic by ten minutes. "With the rapid population growth on Canberra's north, the Gungahlin to City bus route has become one of the busiest in the ACT with over 300 buses using the road on weekdays," Stanhope says. "The new $1.8 million bus lane on Flemington Road allows for priority access to public transport which will significantly decrease bus travel times to the City, by around five to 10 minutes in peak traffic." Stanhope says the new bus lane complemented the $20m duplication of Flemington Road, which was completed in August, and highlighted the ACT Government's investment in Gungahlin. "These measures, supplemented by the introduction of the Red Rapid bus services, will result in improved levels of service from Gungahlin to the City, especially during peak periods." 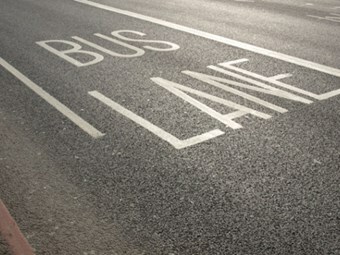 He says the new bus lane would also contribute to the ACT Government's commitment to the ACT Sustainable Transport Plan, aimed at achieving 16 percent of all journeys to work made by public transport by 2026. "The ACT Government will continue to invest in enhancing ACT public transport services to encourage more Canberrans to make the switch and leave the car at home."